When you read this column, I will be in Washington D. C. preparing to attend the “2008 Aging in America Conference” of the National Council on Aging. It is a four day event with hundreds of workshops covering a wide array of topics from Arts and Aging to Death and Dying. The biggest challenge is deciding which workshops to attend. My primary focus is the operation and management of a senior center but I also hope to learn more about brain development, wellness, and creative arts for seniors: information that will help the senior center fulfill its mission of “promoting healthy aging by sharing and caring”. We always need to keep learning and stretching as we age, while also realizing that the latest is not always the greatest. As I learn valuable new information about aging and about new directions for senior centers, I am reminded it is still all about relationships. We are human beings with our own complexity. As more things change, the more things remain the same. And although the science textbooks I used in high school 45 years ago may be out of date and inaccurate, the life lessons from the classics of Homer, Shakespeare and Dickens are still relevant today. Next Tuesday, April 1st, Les Vaughan will be performing a variety of musical styles including gospel and country. And tonight the “Jazz Generations” with Hank and Ann Krum and Bob Fiske will be playing. Hank has played throughout the western United States and always enjoys playing at the Senior Center. All ages are welcome, coffee and goodies are provided and admission is free but donations are appreciated. Every Tuesday from 7:00 -9:00 PM. Have you ever wanted to learn more about the ancient Chinese medical technique of Acupuncture? At the Next Chapter Lecture Series at 11:00 on Tuesday April 1st, Carola Stepper, RN, Lac, will be discussing “New Solutions to Eliminate Pain” through Acupuncture. Carola has a background in Home Health and Hospice Nursing since 1989 and has studied Chinese Medicine at the nationally accredited Oriental College of Oriental Medicine, in Portland, Oregon. As an Acupuncturist she has worked part-time for four years at Mid-Columbia Medical Center, treating patients undergoing chemotherapy and radiation for cancer. Her purpose is to help her clients to get well naturally with Acupuncture and Chinese Herbs and to provide effective information and inspiration in self care. If you are uninsured and need help paying for your medications, the "Help is Here Express" is coming to The Dalles on Thursday April 10 from 10:00 am to 11:30 pm at the Mid-Columbia Fire and Rescue Station parking lot, 1400 W. 8th. It is a chance to learn if you qualify for one or more of 475 patient assistance programs, many of which offer free or nearly free prescription medicines for those in need. The "Help is Here Express" is a large bus equipped with computer terminals and phones so people can find out (for free) if they may be eligible for help. Trained specialists will be on board to make sure the process is quick and easy. The express is sponsored by America's Pharmaceutical Research companies. It sounds like a nice interim service while we wait for a broader solution of affordable health care including prescription coverage for all Americans. There are plenty of opportunities in the Gorge to stretch your lungs and test your pitch by singing in a choir or ensemble (for those who want to sing in more public places than the shower). Delpha Mills who guides the "Young at Heart Serander's” at the senior center would like to invite you to sing with them. They practice at the center every Wednesday from 10:30 - 12:00 and have enjoyed sharing their musical talents at such places as Flagstone and Columbia Basin Care Facility. If you are tired of practicing duets with your dog or feel you are not quite ready for American Idol, this is the opportunity for you. I want to announce this a little early to give you a time to practice and test your favorite recipes. 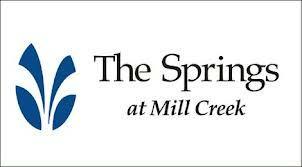 The Mill Creek Point Assisted Living is presenting the “Northwest Cherry Festival Very Cherry Dessert Contest and Main Dish too!” on Monday April 21, 2008 at the Mid-Columbia Senior Center. 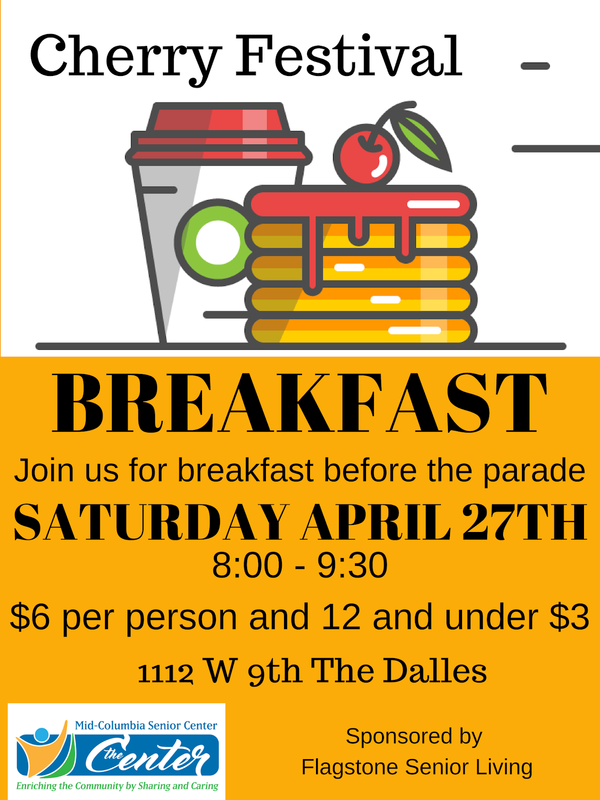 You can pick up entry forms at The Dalles Chamber of Commerce or the Senior Center. Entries have to be received by 5:00 pm Friday April 11th. For more information contact Mary at The Dalles Chamber 541-296-2231. 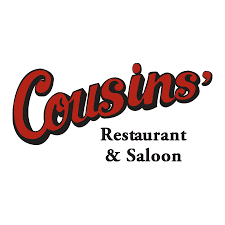 Awards will be presented for Best Cherry Main Dish and the Very Best Very Cherry Dessert with three categories for each: Adult - 19 and over, Junior - 18 and younger, and Commercial. There is no additional entry fee. Well that is it again. It has been about seven months since I started writing this column (I was very fortunate to have Marilyn Ericksen continue as I got my feet on the ground.) and you know, after a while the well starts to run a little dry. But from the conference on aging, I hope to replenish the groundwater with new insights and knowledge that I will be able to share with you. Until the next time, remember there are times to keep your heart open and your lips shut.